A man’s white t-shirt is his wingman at a club, his perspiration assistant in a business meeting and his go to fashion statement for just about any laid back event. Scientists have even done their research and found that a plain t-shirt makes just about any guy more attractive to women. 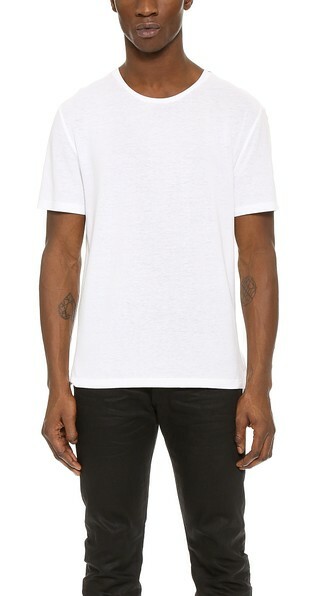 Owning a killer white T is so important, we would even dare say that every man should own at least six as a bare minimum… starting with these. A base layer t-shirt requires it to slip underneath your everyday wear and fit snug, remain unnoticed, and keep you cool and dry. 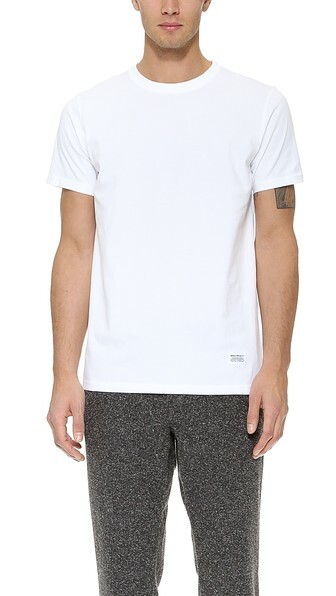 Klein makes a great classic white t-shirt, and when something works well, you really don’t need to change it. They haven’t really changed much over the years—and neither has our opinion of this wonderfully classic t-shirt by CK. 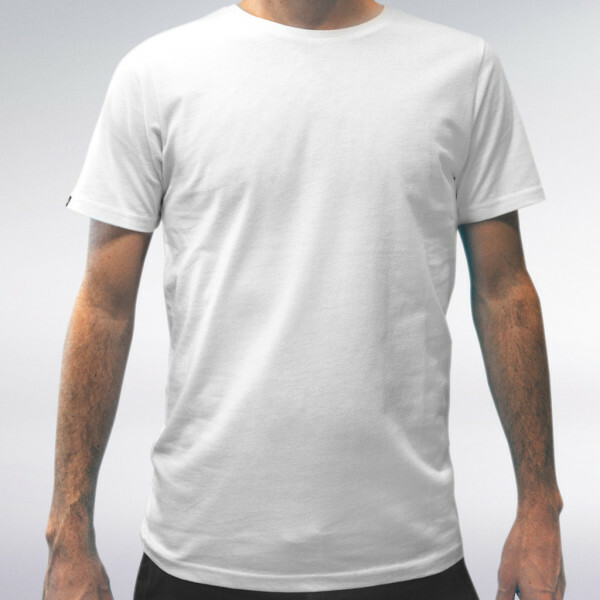 There is one main reason why we like this t-shirt so much: It is the lightest and coolest on the market, while also maintaining the feel of high quality Egyptian cotton. The fact that Sunspel is also the brand behind Daniel Craig’s Riviera Polo from the Bond film, Casino Royale… is only the supercharger on top of an already heavily armored Jaguar XF (if you know what we mean). We’re big fans of this Portugal-made line of underwear, as they use nice thick slabs of fabric, and not that thin stuff that some companies try to pass off as acceptable. Besides the nice fabric, these T’s are also a bit longer than the ‘designer’ type, which make them a bit easier to tuck in along with your button up, or allow it to ‘hang’ as it should. 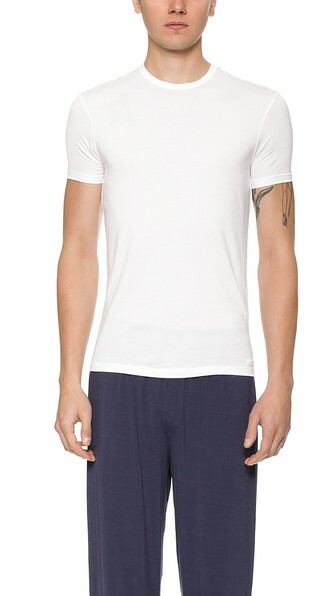 For those times when you need the extra comfort of a slim fit crew neck in cotton—you aren’t going to get much better than this classic Pima by 2(X)ist. It is not ‘clingy’ like your basic non-cotton options, and will leave you with a nice ‘slim’ silhouette without needing to wrestle yourself to get it into place. For those times when you want to look like your just wearing a basic white t-shirt with the fit and finish of a highly designed nylon-trimmed collar and drop-tail hem—Alexander Wang won’t let you down. This is a very nice cut T, and in fact was the tipping point for earning Wang the title of Best Menswear Designer of the Year by our friends over at GQ. Congrats. 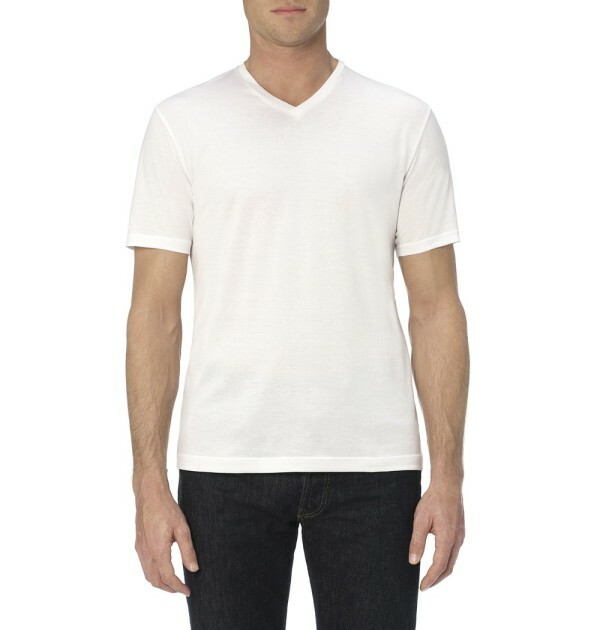 One reason why many of our white t-shirts stay so white, is because we rarely wear them. As great as they look, white colors just don’t last long when you’re planning to play hard. Threadsmiths has thought this dilemma through and designed a good solid white t-shirt made out of stain resistant fabric, which means it’ll stay clean even if you prefer playing dirty. Yeah, we’re sure you’ll find plenty of uses for this practical version of ‘wearable tech‘.